Johnny Jackson "Jack" Ethridge, Jr.
Johnny Jackson “Jack” Ethridge, Jr., 70, passed away on Sunday, February 3, 2019 at his residence. A memorial visitation will be held Thursday, February 7, 2019 at Albritton Funeral Directors from 6:00 to 8:00 p.m. A private burial will be held at a later date. Mr. Ethridge was born January 23, 1949 in Tift County to the late Johnny Jackson Ethridge, Sr., and Marie Tucker Ethridge. In addition to his parents, he was preceded in death by his brother, Gerald Ethridge. He was a construction worker and was an artist who enjoyed painting and crafts. 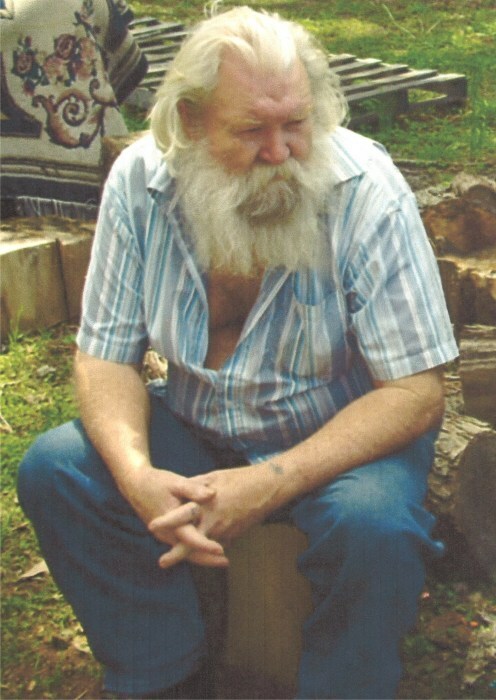 Jack was a woodworker who enjoyed working with plants. He had worked in the oil fields in Oklahoma and worked on the All-American rig there. Mr. Ethridge is survived by his daughter and son-in-law, Vicky and David Manders of Enigma; grandson Cruise Edmondson; sister-in-law Doris Ethridge of Ty Ty; nephew Buck and Melissa Ethridge; niece Tammy and Dennis Sledge; three great nephews and three great nieces. He is survived by his special friend Ray McLean and family and Ronnie Edmondson.